Like any American whose family on both the paternal and maternal sides has been in this country since well before the American Revolution, I am kind of a genetic mutt. However, it seems that most of my DNA is Irish, the rest being from Scotland, England, Wales, and the Iberian Peninsula, so basically, I’m Celtic. Most of my Irish seems to come from my mom’s side of the family with Travis’s who came from the Old Country and eventually settled in Illinois. My favorite uncle when I was a kid was my uncle Ted. He was as Irish as they come, and according to my mom uncle Ted help begin my great love of beer when I was just a babe. On my dad’s side I descend from Scottish nobility, not that it matters in this country. 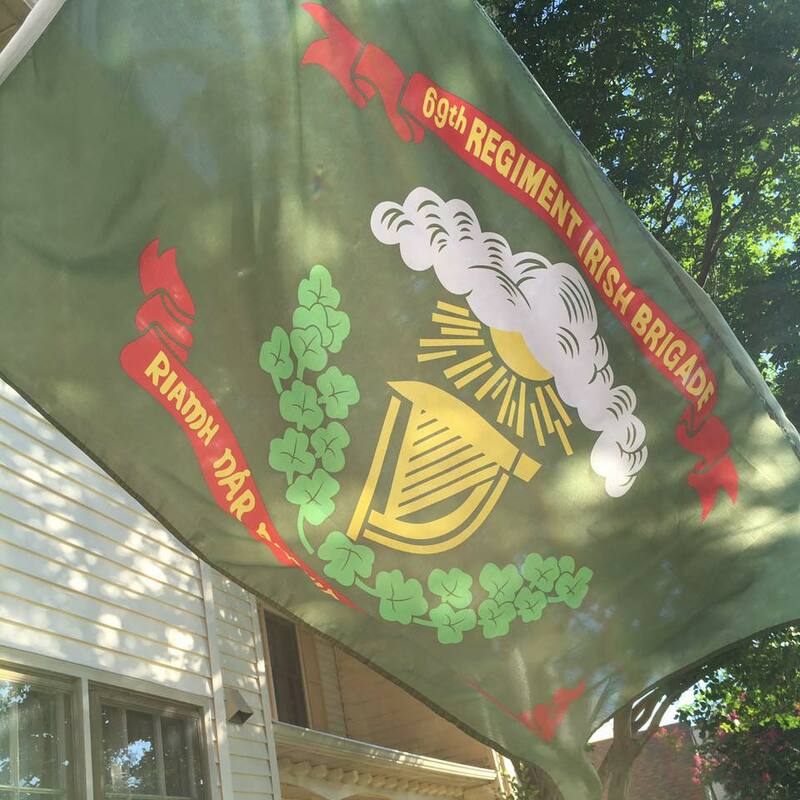 But when I was younger I found it a source of pride, especially the military tradition that came with it, and for that matter I still am, but I have become more cognizant of my Irish heritage. This is a heritage that I plan on doing research on in the near future. In the light of freedom’s day. When they arrived in the United States the found themselves at the bottom of the white man’s world, despised and often violently persecuted by Americans of the anti-immigrant, anti-Catholic “Know Nothing” movement. They were accused of being agents of the Pope, and wanting to overthrow Protestant America. As such they had to work hard, and they also stayed together in predominant Irish neighborhoods, and in time they became a political constituency that even non-Irish politicians could not ignore. In a time when other groups of immigrants are discriminated against and demonized, often for their religious beliefs I think that we cannot forget the Irish immigrants, and those who are of Irish descent, those whose ancestors were persecuted in the Old Country as well in this country need to think twice before doing the same to people who are fleeing political and religious persecution as well as war and famine. My Irish heritage has made me feel a closer bond with immigrants than almost anything. 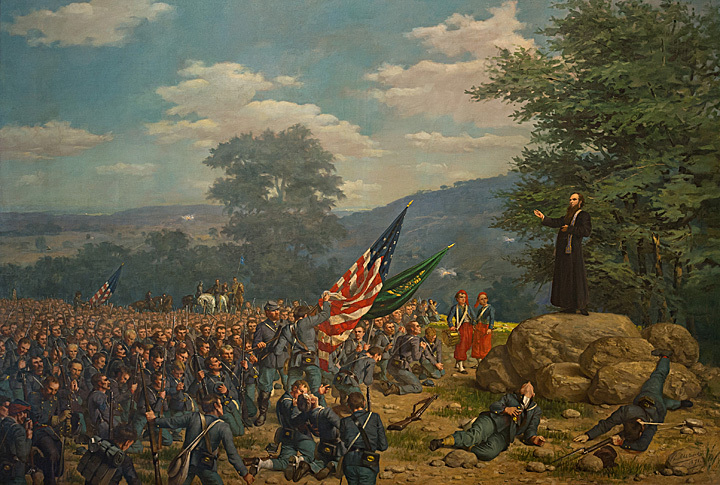 Approximately 150,000 Irish immigrants fought in the Union Army during the Civil War, many hoping that their display of loyalty would put a stop to anti-Irish discrimination, but despite their gallantry and sacrifice on the battlefield it did not. With casualties mounting and the institution of the draft which hit poor people and immigrants the hardest, many Irish staged draft riots in 1863. Eventually the Irish would be accepted, but what happened to them has happened to almost every other group ethnic and religious immigrants who have come to America to be free. 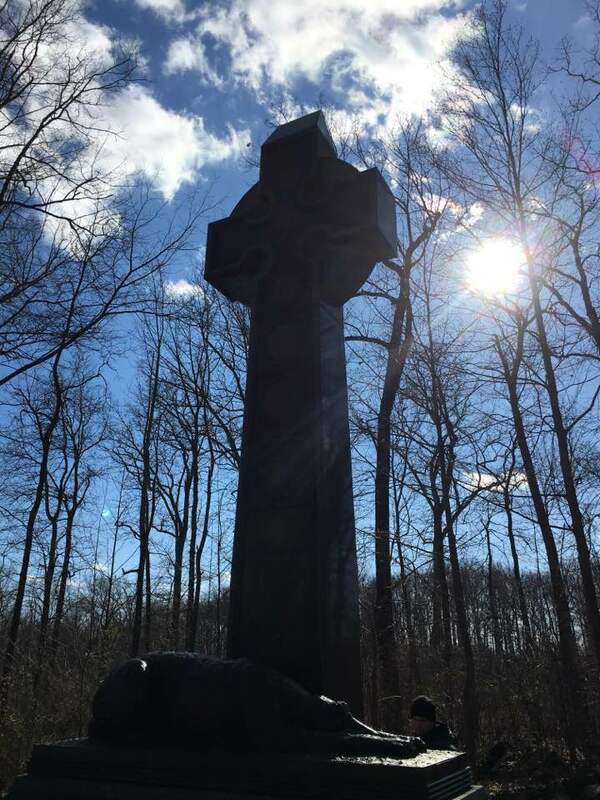 Whenever I go to Gettysburg I stop at the Irish Brigade memorial near the edge of the bloody Wheat Field and speak of its service during the war and the absolution granted to it by its chaplain, Father Corby before it went into battle that hot summer afternoon of July 2nd 1863. 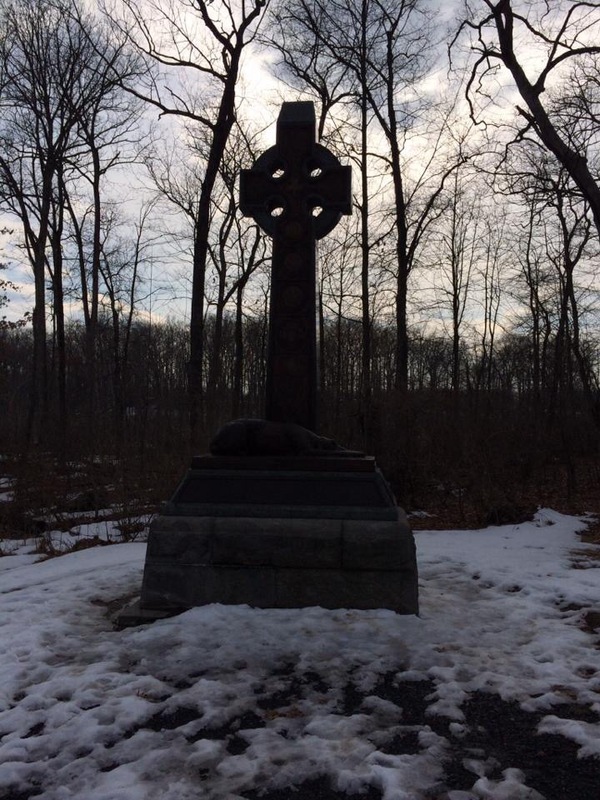 Likewise I tell the story of the young Colonel Paddy O’Rorke, the first Irish Catholic to graduate from West Point who died leading his regiment at Little Round Top, not far from where his kinsmen were fighting at the Wheat Field. 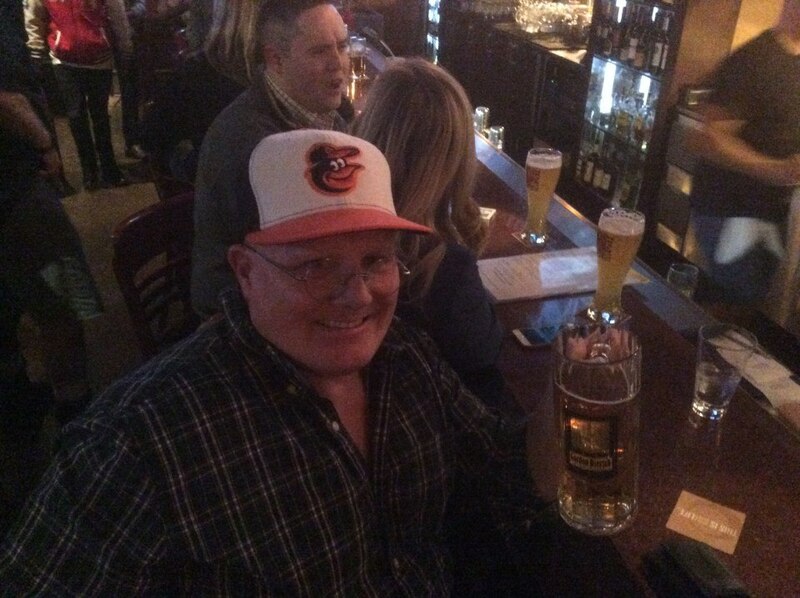 So I wish you a Happy Saint Patrick’s Day even as I reflect more on my Irish heritage and raise a pint or two; after all a bird never flew on one wing. Sláinte. This is the fifth of a series of articles that I will be posting potions of a chapter that I have rewritten about the critical battles on the south side of the battlefield on July 2nd 1863, the battle for Devil’s Den, the Wheatfield, the Peach Orchard, and the final repulse on Cemetery Ridge. To the left of Benning, “Tige” Anderson’s brigade and two of Robertson’s orphaned regiments assaulted the remaining elements of Hobart Ward’s brigade along the western section of Houck’s Ridge and Rose’s Woods. 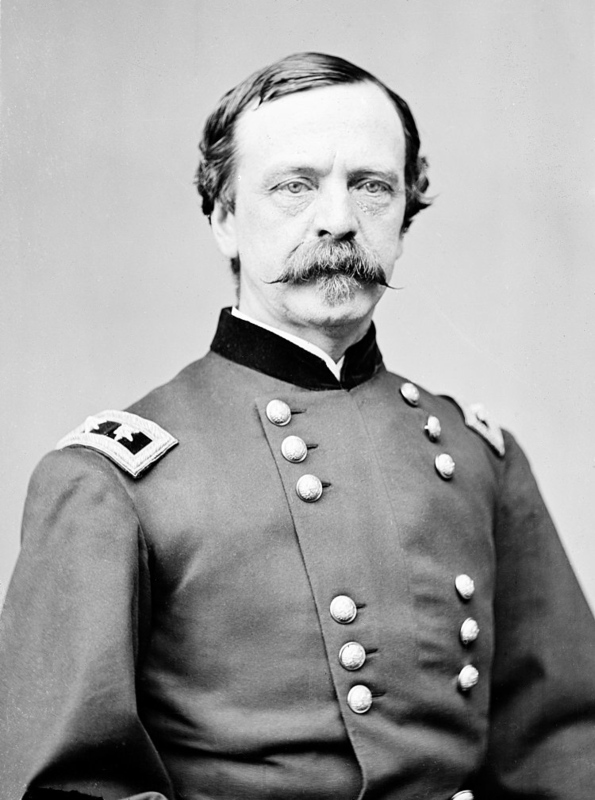 Ward had been assigned by his division commander, David Birney to defend the left flank of Sickles over-extended line. To do so he had already placed the men of the 124th New York and the 4th Maine on his left, while those remaining took position on Houck’s Ridge and in Rose’s Woods. 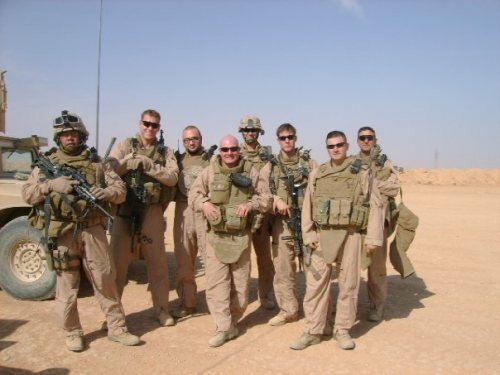 Like the other units of Third Corps, these troops were all veterans led by veteran officers and they would not give ground without a fight. However, Ward’s troops had not taken the time to erecting any hasty fortifications or breastworks, as one “veteran remembered it, “we had not yet learned the inestimable value of breastworks, and instead of spending time rolling the loose stones into a bullet-proof line, we lounged about on the grass and rocks.”  But when the Confederate assault began, these men took advantage of the nature terrain features which made it formidable even without such efforts. Joseph Kershaw was one of the few Confederate commanders without a legacy to protect to write in detail about the battle in the Wheatfield. Kershaw was a lawyer and politician who had served in the Mexican-American War with the Palmetto Regiment. After the war he went back to civilian life and served as a member of the South Carolina State Senate. When South Carolina seceded from the Union, Kershaw volunteered for service and was made Colonel of the 2nd South Carolina Volunteer Infantry which he commanded at Fort Sumter, Bull Run, and on the Peninsula. 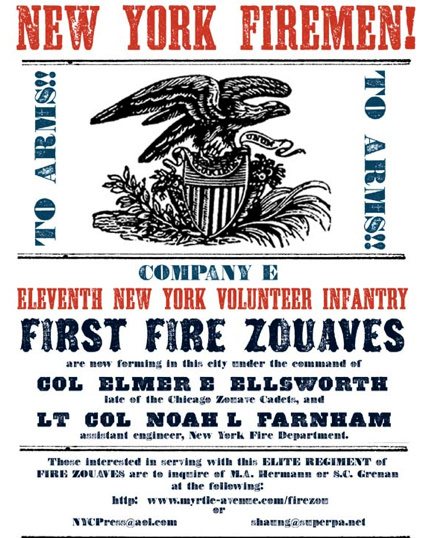 “Natural leadership and applied intelligence had advanced him to brigades command, and he was tabbed for future material for division command.”  As a brigade commander he distinguished himself during the Seven days, Second Bull, Run, Antietam, and Fredericksburg. Kershaw was an natural leader and displayed an ability for “quick and rational decisions, and he never endangered his men rashly”  His division commander, Lafayette McLaws had a tremendous amount of trust and respect for his subordinate. “Pious, intelligent, a clear blond of high bred, clean-cut features, he had the bearing of command and a clear voice that seemed to inspire courage when it was raised in battle.”  Kershaw was “probably the most popular brigade commander in the entire Army of Northern Virginia. 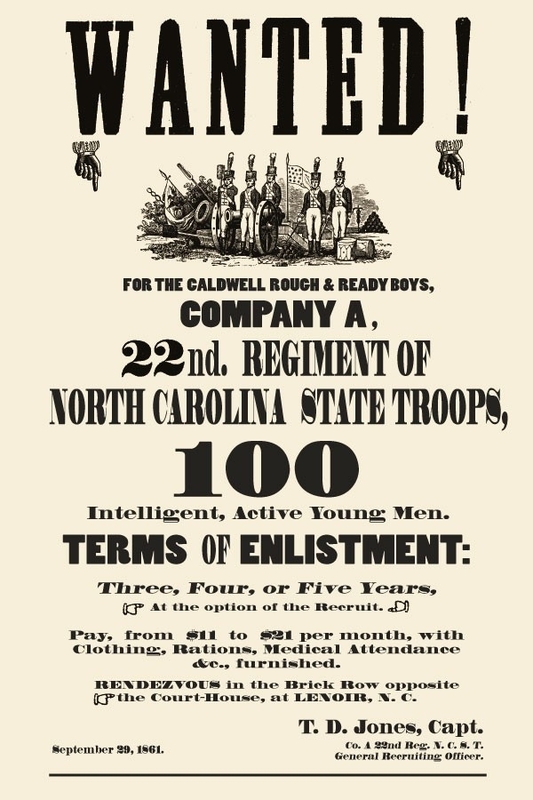 His South Carolinians – the 2,100 men of the 2nd, 3rd, 7th, 8th, and 15th South Carolina, along with the seven companies that made up the 3rd South Carolina Battalion – adored him as “a very fine man and good officer” who is liked by everyone.” Actually, this forty-one-year-old lawyer from Camden…was a chronic depressive, unhappily married, and “intensely lonely”  That did not diminish the love of his men for him, and His brigade had been the lead unit of the First Corps’ disastrous movement to contact that afternoon, and he had watched the contra-temps between Longstreet’s and McLaws during the march and counter-march that morning and afternoon, and upon the discovery of Sickles’ troops in the Peach Orchard. His brigade, a unit of battle-hardened veterans may not have looked like soldiers due to the wear and tear of constant campaigning and the lack of new uniforms or equipment but they were among the toughest and most disciplined brigades on either side. Kershaw’s brigade as well as the Georgia brigade of Brigadier General Paul Semmes, the brother of Rafael Semmes, the Captain of the raider CSS Alabama, formed the right flank of Lafayette McLaws’ attack on the Peach Orchard and the Wheatfield. Kershaw understood from his discussions with McLaws and Longstreet that his attack was supposed to be coordinated with that of Hood’s division on his right, which was “sweep down the Federal line in a direction perpendicular to our line of battle.”  and with Barksdale’s brigade on his left. However, as his troops prepared to jump off to start their attack Kershaw “got his first unpleasant surprise when he observed Hood’s brigades moving “independently against Round Top,” a departure from the plan that meant they would not “directly participate in the joint attack.”  Without Hood’s support on his right Kershaw was now completely dependent on Barksdale’s brigade on his left to hit the Peach Orchard to protect his left flank from the massed Federal artillery on that height. 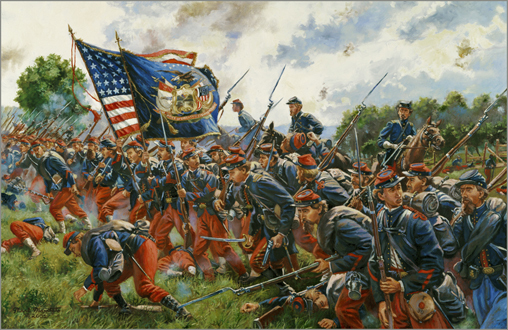 When Kershaw received word to advance his troops moved off followed by Semmes’ brigade while Longstreet accompanied the brigade until it reached the Emmitsburg Road. Kershaw made a tactical decision which made sense but which had a major impact on his attack. “All field and staff officers were dismounted on account of the many obstacles in the way.”  Kershaw chose to move with his right regiments and being dismounted this diminished his ability to see what was going on with his left, and limited his ability to provide command and control. This was not a mistake, it was a sound tactical move due to the terrain and the exposure of mounted officers to sharpshooters and artillery directed specifically at them. Up to the point of crossing the Emmitsburg Road, Kershaw’s regiments had a relatively easy advance, but as Kershaw feared, they were hit from the front and flank by rifle fire, and by artillery fire. “We saw plainly that their artillerists were loading their guns to meet our assault, while their mounted officers went dashing wildly from gun to gun, to be sure that all were ready,” recalled one soldier of the 2nd South Carolina, and when they opened fire, “every Federal cannon let fly at us” with solid shot and canister.”  The effect on Kershaw’s troops was devastating. 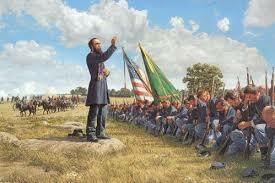 Scores of his troops were cut down as they advanced, even so they continued to move forward. Private William Shumate of the 2nd South Carolina described the effect of the massed Union artillery fire on Kershaw’s troops. “Kershaw’s brigade moved…in perfect order and with the precision of brigade drill, while upon my right and left comrades were stricken down by grape and canister which went crashing through our ranks. It did not seem to me that none could escape.”  Kershaw’s left regiments were now approaching the Federal artillery and Kershaw had lost contact with them. As they approached the Union guns, those batteries ceased fire and prepared to withdraw. While his left regiments were being manhandled by the Federal artillery due to the errant order, Kershaw’s right regiments continued their attack on troops of De Trobriand, Sweitzer, and Tilton, on the stony hill. This landmark was in the process of being cut off from the rest of the Federal army as Anderson’s troops gained control of the Wheatfield. On the surface it seems that the three brigades should have been enough to hold the stony hill, although this is not entirely clear from contemporary accounts or from the histories published since. But, there is one overriding opinion that comes through in most of the accounts, which is that there was a problem with Federal command and control on this section of the battlefield. When the Fifth Corps units of Barnes’ division began arriving in the Third Corps section, Sickles and Birney assumed that these troops were subordinated to their command, but Meade had given contrary orders to Sykes who assumed that the changed orders “relieved his troops from “any call from the commander of the Third Corps.”  Whether this was Meade’s plan, Sykes’ interpretation of his orders, or Sickles’ seeking to shift some of the blame for the near disaster to someone else depends on which account one reads. Zook’s brigade came next, taking its direction from Dan Sickles. The brigade “deployed near the Trostle farm, and advanced against Kershaw’s men on the stony hill.”  There they were met by withering fire, and Zook leading his men from the front was mortally wounded, his brigade suffering massive casualties even as they continued to advance and many “of the companies…came out commanded by sergeants.”  A survivor of the brigade remembered it, “the firing became terrific and the slaughter frightful. We were enveloped in smoke and fire, not only in our front, but on our left, and even at times on our right….Our men fired promiscuously, steadily pressing forward, but the fighting was so mixed, rebel and union lines so close together, and in some places intermingled, that a clear idea of what was going on was not readily obtainable.”  These stalwart men were followed by Kelly’s Irish Brigade and Brooke’s brigade, Caldwell’s last available unit, which moved through the Wheatfield and up the slope of the stony hill. 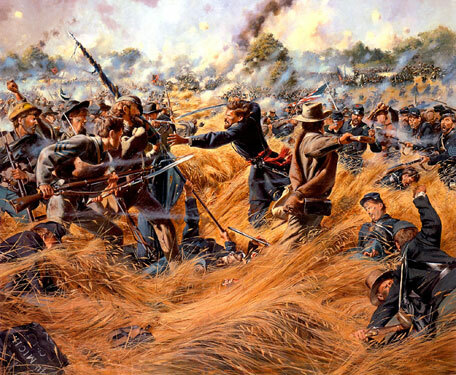 For a time the mixed units that the Federals had committed to the fight for the Wheatfield and the stony hill, along with Sykes’s division of Regulars which had moved up to their left flank stabilized the Federal line. For a time it “appeared that the Rebel effort to overwhelm the Federal flank had failed, save for Devil’s Den. But the situation was changing quickly…”. But the conduct of the battle, “in large part to Sickles, and with help from Longstreet’s execution of the attack, the situation was proving to be a bloody mess on both sides.”  The Federal occupation of the stony hill lasted barely twenty minutes when a new threat arose from the direction of the Peach Orchard, Caldwell’s success had placed the division in an exposed position and he had no reserves left to counter any Confederate move on his right flank.